It’s a fact: History loves ghosts. Archivists love history. Therefore, archivists love ghosts, right? Ghosts are as old as the human race. In any village, town, or city you travel to throughout this world, it is highly likely that you will be told a ghost story. San Diego is no different. In fact, some say that San Diego has the most concentrated collection of haunted places on the West Coast of the United States. So, let’s take a look at a few of these haunts that are just a short walk, or trolley, cab and ferry ride away from the conference hotel. Old Town is where San Diego began, and has certainly been through dramatic historical events over the past two hundred years. It’s no wonder that most of San Diego’s ghost stories come from this area of only eight square miles! 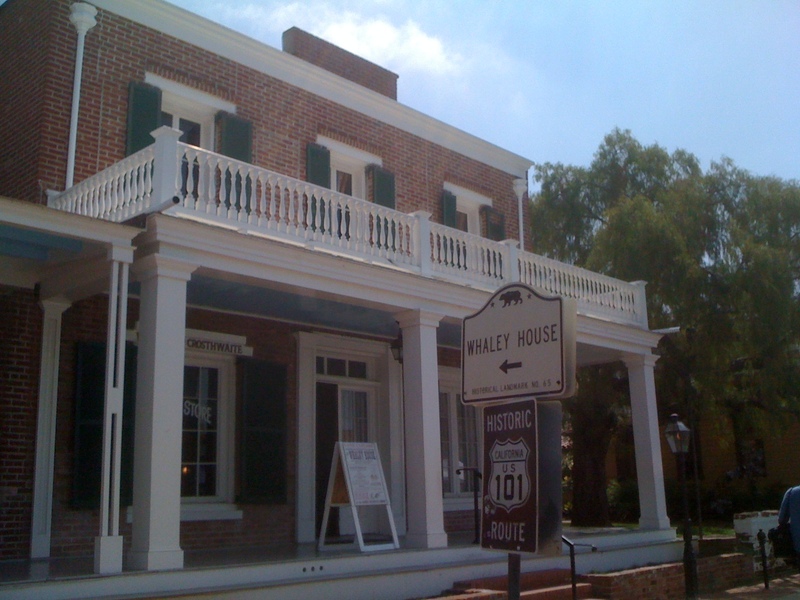 The Whaley House is considered to be the number one most haunted house in America. In fact, it has been investigated on a number of television shows such as the Travel Channel’s America’s Most Haunted and the popular Sci-Fy TV Series, Ghost Hunters. Today, the house’s exterior actually looks quite charming. But inside, it shows a darker face that reaches back into San Diego’s tainted historical roots. Perhaps, all the ghostly experiences stem from the fact that the house was built over and old cemetery and near Old Town’s gallows site. This “U” shaped, 13 room historic adobe house was constructed in 1827 by Jose and Maria Estudillo and is designated a National Historic Landmark. Besides being one the oldest surviving examples of Spanish architecture, it is also home to many ghostly encounters. Old Town’s park rangers, employees and visitors are often interviewed about their eerie experiences. Even the Travel Channel show, Ghost Adventures, have recently investigated the spirits in this building. Established in 1849, El Campo Santo Cemetery is located on San Diego Avenue, about two blocks from the Whaley House. This spook-infested cemetery with 447 graves has had a variety of reports of ghostly sightings within and outside the brick walls that surrounds the place. Even in the daytime the cemetery is creepy with its white wooden crosses, wrought iron fencing surrounding family plots, and gnarled trees dotting the grounds. The cemetery is the perfect setting for a haunting. 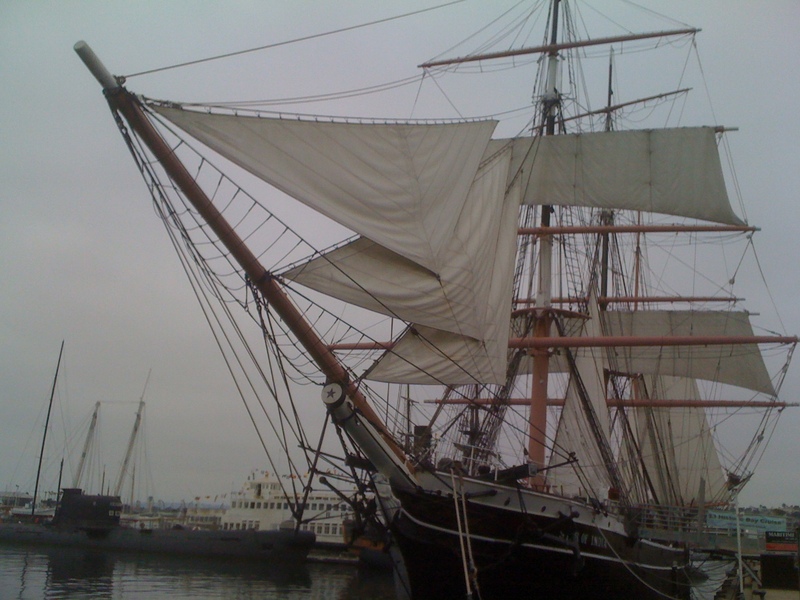 Although San Diego is rich in maritime history, the city’s most venerable nautical celebrity is America’s oldest active sailing ship, Star of India. Originally named, Euterpe, this three-mast ship was launched from the Isle of Man in 1863. The ship sailed all over the world enduring many dramatic adventures and misfortunes before it was left to decay in an Oakland estuary in 1923. However, in 1927, a group of San Diego maritime aficionados purchased the ship, brought it to San Diego, and renovated it. Today, it is a maritime museum where it is believed that several sailors and passengers still haunt the decks and cabins. The Hotel Del Coronado is a San Diego and California National Landmark. This luxury hotel, built in 1888, is certainly not without its many ghost stories. If you dare, spend the night in Room 3502 or 3312, where guests have reported many paranormal occurrences over the years. This entry was posted in Attractions and tagged #saa12, Coronado, museums, tours. Bookmark the permalink.